Junipers are small, coniferous, evergreen plants in the genus Juniperus from the cypress family, Cupressaceae. There are approximately 50 – 67 species of Juniper widely distributed throughout the Northern Hemisphere, and over 170 cultured varieties throughout the world. The name Juniper is derived from the Latin word Juniperus which means evergreen. It is also known as Genvier, the term from which the word ‘gin’ is derived. The highest known Juniper forest is found at an altitude of 16,000 feet in south-eastern Tibet and the northern Himalayas. These plants vary in size and shape, from tall trees ranging from 20 – 40m tall, to low spreading shrubs with trailing branches. They have two distinctive types of leaves: the juvenile plants and seedlings have needle like leaves, while the more mature trees have small overlapping scale-like leaves. When found on these plants, the juvenile needle-like leaves are often seen in shaded areas, with the adult foliage found in full sunlight. These plants can be either monoecious (having both male and female reproductive organs in the same individual), or dioecious (having the male and female reproductive organs in separate individuals). The female trees have a very distinctive seed cones, with fleshy, fruit-like scales which merge together to form a “berry”-like structure approximately 4 – 27mm long, with 1 – 12 unwinged, hard-shelled seeds. In most species, this berry is blue in colour, but some species can produce berries red-brown or orange in colour. These “berries” are very aromatic and are often used as a spice (Juniper berries), and this is the part of the plant used in culinary and medicinal practices. The berries contain minerals and vitamins such as copper, calcium, iron, phosphorous, zinc, magnesium, chromium, selenium, potassium, Vitamins B1, B2, and B3, and Vitamin C.
In most areas, Junipers can bloom and release pollen several times each year. Some species bloom in autumn, while most tend to bloom and pollinate from early winter until late spring. From late spring, to early summer, it produces small yellow male flowers and blue female flowers on separate plants. Culinary: The berry from this tree are a spice that is widely used in a variety of dishes and is most commonly known for its role in the flavouring of gin. They are also used as the primary flavour in the liquor Jenever, and in sahti-style (Finnish) beers. Made into a sauce, it is also a popular flavouring choice for meat dishes. Essential oils: The berries are steam distilled to produce an essential oil that varies from colourless, to yellow or pale green. Some of the chemical components found in this oil include: alpha pinene, cadinene, camphene, and terpineol. 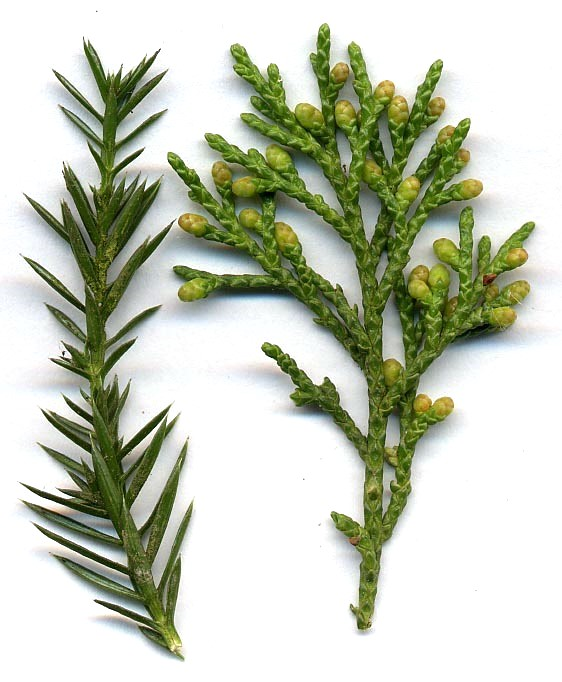 Leaves and twigs of Juniperus virginiana are also steam distilled to produce Juniper oil. The main components of juniper oil are: a-pinene, b-pinene, camphene, sabinene, y-terpinene, a-phellandrene, myrcene, a-terpinene, 1,4-cineole, b-phellandrene, terpinene-4-ol, p-cymene, caryophyllene, and bornyl acetate. It also has trace amounts camphor, limonene, nerol, linalool, borneol, and linalyl acetate. Herbal use: The Ancient Greeks used Juniper as a purifying herb and believed the berries increased physical stamina in their Olympic athletes. The ancient Egyptians used Juniper extensively as a medicine and also to embalm the dead. It has also been used by the Greeks and Arabs as a sedative. In Morocco, gitran (the tar of the Arar tree/Juniperus phoenicea) is said to be good for the teeth and mouth and is added to water. The Navajo (native Americans of the south west US) have traditionally used juniper to treat diabetes and as a female contraceptive. In the 17th century herbalist and physician, Nicholas Culpeper discovered the berry’s effectiveness in the treatment of conditions such as asthma and sciatica, and to aid with speeding childbirth. Juniper is also one of the plants used in Scottish and Gaelic saining rites (blessing and protecting rites), where the smoke is used to cleanse, bless, and protect the household and its inhabitants. As a medicine, juniper extracts can be taken internally, inhaled, or applied topically. You can use Juniper berries fresh or dried as well as in a supplement form or as an oil. Many health food stores carry juniper berries in the herbs and spice section and can usually be purchased either dried, fresh, crushed, or whole. The leaves can be burnt on top of a hot wood stove to create an incense which is said to be helpful in the treatment of colds. The average dosage for this herb is 2 to 10 grams, or 1 to 3 teaspoons of crushed berries made into a tea by pouring boiling water over them and steeping for 10 minutes. Drinking the tea 1 – 2 times per day over the course of 4 – 6 weeks is considered generally safe. The extracts of this berry contain terpinene-4-ol, which is a compound that stimulates the kidneys, as well as amentoflavone, a compound with anti-viral properties. Juniper is often ingested in tea or supplement form. The tea is helpful in treating bronchitis, numbing pain, fighting inflammation, and increases the production of stomach acid, amongst many other benefits. The essential oil can be applied topically in lotions or diluted with carrier oils such as coconut or almond oil. The essential oil may possibly be used without dilution depending on the strength and concentration of each particular oil type. Always read the packaging and instructions first before applying directly to the skin. When applied topically, juniper oils are helpful in the treatment of conditions such as: acne, athlete’s foot, warts, skin growths, cystitis, psoriasis, and eczema. Due to its antibacterial properties, this oil is effective at treating cuts and wounds as well. Treats bronchitis, asthma, and colds: This herb has powerful anti-inflammatory properties which makes it beneficial for easing inflammation of the nasal passage and airways, as well as easing congestion, particularly when inhaled. 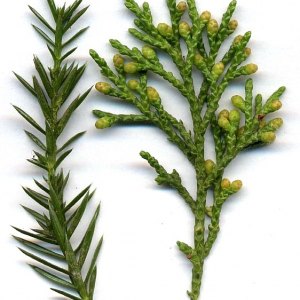 Aids with kidney health: Juniper is an effective diuretic. This is due to the presence of terpinene-4-ol, a compound that has been shown to increase the rate of kidney filtration, therefore increasing urine flow and helping to ‘wash out’ and excrete bad bacteria. It is believed that juniper increases urine volume without the loss of electrolytes such as potassium. It is often used for the treatment of infections, especially those of the urinary tract, bladder, kidneys, and prostate. These berries have antiseptic properties which help to remove waste and acidic toxins from the body, therefore active defensively against bacterial and yeast infections. Acts as a stimulant: This stimulating effect helps to overcome fatigue, dizziness, and depression by increasing the activity of the brain, neurons, digestive system, excretory system, nervous system, and the endocrine and exocrine glands. Improves digestion: Juniper berries increase the flow of digestive fluids and acts as a carminative, and therefore improves digestion, reduces flatulence and gas, and prevents stomach cramps. It can also be used to treat intestinal worms, heartburn, loss of appetite, and gastrointestinal infections. Juniper’s diuretic properties help to eliminate excess water retention and can help with weight loss as some fats are lost from the body each time you urinate. Treats stomach ulcers: Stomach ulcers often occur due to prolonged high acidity levels in the stomach. Juniper is beneficial for treating this ailment due to it’s ability to increase and stimulate the secretion of bile in the stomach which is basic in nature, helping to neutralize the acidity. Treats infections and bacteria: Due to this herb’s antibacterial and antimicrobial properties, it has been found to be effective in combatting and treating the bacteria associated with E. coli, pneumonia, gonorrhoea, and even Staphylococcus aureus (a common anti-biotic resistant infection often picked up in hospitals). Acts as a tonic: Juniper oil is considered a tonic because it tones everything, including the skin, muscles, tissues, and other systems in the body such as the respiratory, circulatory, nervous, digestive, and excretory systems. Speeds up the healing process: Diluted solutions of the essential oil applied to wounds or blended with a skin cream will help the wounds to heal faster and prevent them getting infected. Has antiseptic properties: Due to this, juniper has been found to be effective at treating conditions such as cystitis. It was commonly used in the past to treat war injuries to stop them becoming septic, or from developing tetanus. Has antispasmodic properties: Therefore, is extremely effective on nearly all forms of spasms and cramps. Improves blood health: Juniper berries have depurative properties and aid to detox and purify the blood. It helps to remove toxins such as uric acid, heavy metals, pollutants, certain compounds and certain hormones produced by the body itself. Treats arthritis, gout, and rheumatism: The berries have been known to inhibit prostaglandin synthesis (which cause inflammatory response), therefore reducing inflammation. It improves and promotes circulation and due to its diuretic properties, helps to decrease the amount of toxins such as uric acid in the body, along with reducing the amount of fluid around the joints. 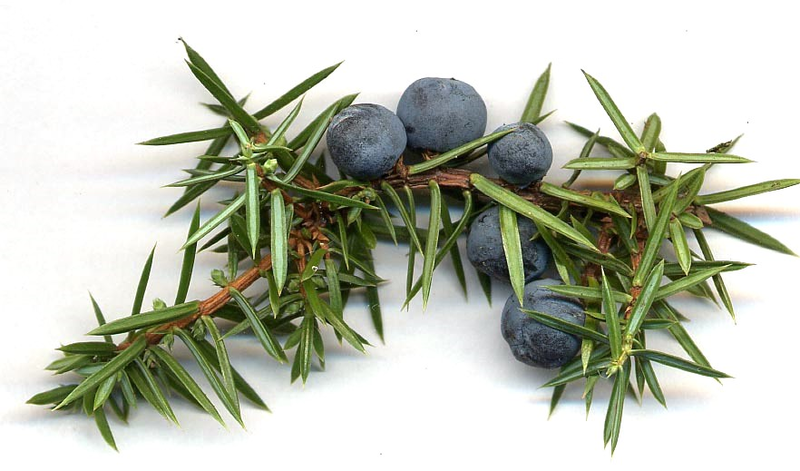 Treats delayed menstruation: Juniper stimulates the uterine muscle and promotes menstruation. Has antiviral compounds: In laboratory conditions, these compounds have been found to inhibit the growth of a number of virus strains including herpes and flu strains. The berries also contain an ingredient called podophyllotoxin which helps to inhibit abnormal cell growth as well as Amentoflavone, which is another antiviral compound. Treats acne and other skin conditions including blemishes, rashes, psoriasis, and eczema: This is due to the herbs antiseptic, antibacterial, astringent, and anti-inflammatory properties. It also efficiently speeds up the skin’s healing process. Studies in South Korea show that it may be possible to use juniper berries to treat skin pigmentation disorders such as vitiligo. The essential oil has also been used to treat cellulite due to its astringent properties. Cade oil, which comes from the wood of the juniper tree, and not the berries, is beneficial for the treatment of psoriasis on the scalp. Lowers blood pressure and improves heart health: Studies on rats show that this herb can lower blood pressure by an average of 27%. This is due to its antioxidant compounds and diuretic effect. The extract has been shown to be effective at reducing the levels of high triglycerides in the blood. The berries also act as an anticholinesterase agent, which helps to build up acetylcholine in the nervous system, which helps to slow heart action, lower blood pressure, increase blood flow, and induce contractions of the heart. Treats diabetes: Studies have shown that the berries are able to lower blood sugar levels in rats. The oil also seemed to limit the amount of malondialdehyde produced by the animals, which is a compound found in higher levels in diabetics. Improves sleep: This herb acts as a relaxant and has a positive impact on brain chemistry in a way that encourages sleep. Is an astringent: Due to this property, juniper oil and berries is helpful in curing toothaches, prevents hair loss, improves scalp health, tightens loose muscles, strengthens the grip of gums on the teeth, and protects them from coming loose or falling out. As an astringent, juniper can also cause blood vessels to contract, and therefore reduces the chances of haemorrhaging. Relieves oxidative stress and helps prevent disease: Juniper berries contain antioxidants which are essential for preventing free radical damage. These berries contain polyphenolic compounds known as bioflavonoids/flavonoids, which are phytonutrients found in fruits and are beneficial for preventing the breakdown of Vitamin C in the body. 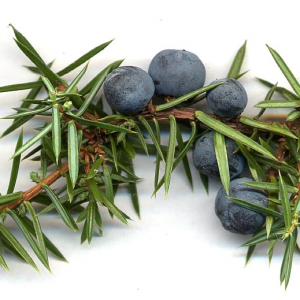 Studies suggest Juniper berries may contain up to 87 different distinct antioxidant compounds. Some examples of these include beta carotene, camphor, and tannins, all of which are helpful in preventing cell damage due to oxidative stress. There are three highly important antioxidants found in the body which are stimulated by juniper berries. These are: superoxide dismutase (SOD), catalase, and glutathione peroxidase. Deficiency of superoxide dismutase has been linked to conditions such as ALS, down syndrome, cancers, and lung problems. Catalase, glutathione peroxidase, and superoxide dismutase all act to protect against damage from peroxide within the body, with glutathione peroxidase also protecting against cancer and heart disease. In a lab environment, the extract has been shown to cause cell death in a drug-resistant strain of leukemia, HepG2 (liver cancer), and p53 (neuroblastoma) cells. May help treat Leishmaniasis: Studies suggest that juniper berries may be able to treat the parasite that causes leishmaniasis, a disease commonly contracted in tropical regions and Southern Europe. Some texts and studies suggest that higher levels of Juniper can over stimulate and damage the kidneys. There is no evidence to suggest this, and this warning has been linked back to its first in print appearance by a man called Potter in 1898. The evidence Potter used was from experiments on mice using high doses of isolated essential oil derived from Juniper. Upon further scrutiny, scientists discovered that the reputation of Juniper as a renal irritant came from the use of oils containing high levels of pinenes which are known irritants to the urinary tract. It is always best to proceed with caution, however, and always consult with a doctor or physician before beginning a new supplement. The herb stimulates the contraction of smooth muscles including the uterine muscles and should be avoided by women who are pregnant as it may cause miscarriage. It is not suitable for breastfeeding women or young children and infants. Due to the herb’s ability to interfere with the action of glucose regulating medication, it should be used with extreme caution in people with diabetes or hypoglycaemia. The berries may also interact negatively with certain medications as they inhibit a drug metabolizing enzyme in the human body known as CYP3A4. This enzyme is what metabolizes approximately half of the drugs and medications on the pharmaceutical market. There is a fairly large list of medications that may result in toxicity if used in conjunction with juniper berries, or juniper essential oils. If you are using any medications, make sure to consult with a doctor before using this herb. Possible allergic reaction can occur in rare cases and is characterized by a skin rash, swelling, or difficulty breathing. Discontinue using the herb immediately if a reaction occurs. Toxicity can occur when a person consumes large amounts of juniper berries. Mild toxicity can occur due to the volatile oils it contains, though symptoms are usually limited to diarrhoea. Excessive consumption may cause kidney damage, convulsions, and DNA damage. It is recommended that this herb is not used for more than 6 weeks at a time.